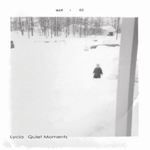 "Mike Van Portfleet formed Lycia in early 1988 in his hometown of Phoenix. Inspired by post-punk and the ethereal 4AD sound of the '80s, he began experimenting with guitar loops on his four-track recorder. He recruited an old friend, bassist John Fair, to join him, and the two recorded Wake in 1989 for Phoenix's Orphanage Records. Fair left a year later to play with Caterwaul, but Van Portfleet continued to record, sending his demos to the goth-ambient Projekt label. Projekt liked what it heard and signed him to a contract. 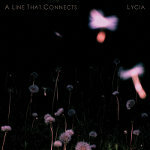 The first Lycia release for Projekt, Ionia, appeared in 1991. 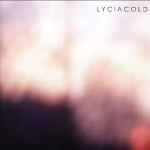 After recording A Day in the Stark Corner in 1993, Lycia became a duo once again when David Galas appeared on several live dates in California, documented on 1994's Live. Van Portfleet and Galas first recorded in the studio as Bleak, a side-project which released Vane in 1995. Tara Van Flower became the third member of Lycia that year, and her vocals appeared on The Burning Circle and Then Dust, a double-album released in 1995. Estrella followed in 1998.